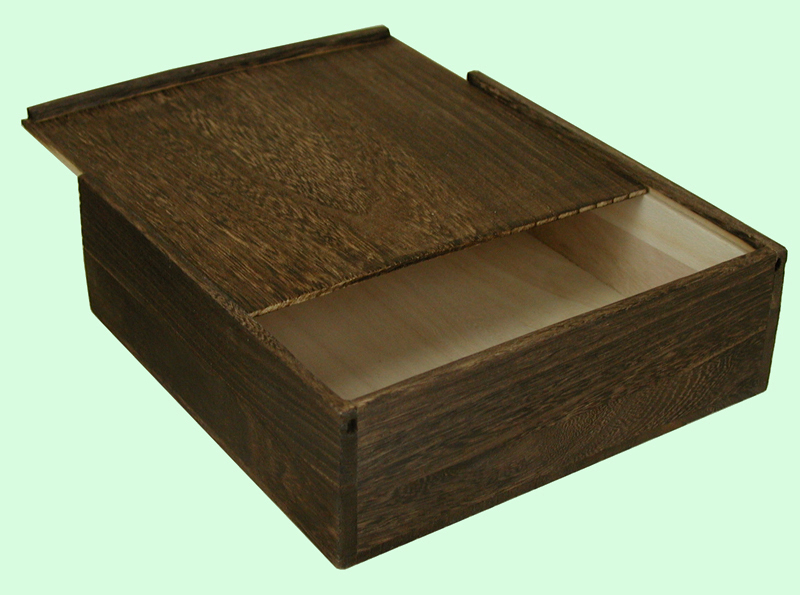 This square wood box comes with a sliding lid. It is made of balsa wood, one of the greenest wood on earth. It is finished in our newly created dark burnt technique. The dimensions are 9-1/4" square, and 3" tall.